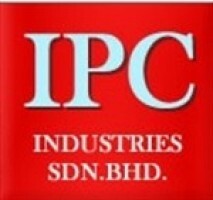 IPC INDUSTRIES SDN BHD, an ISO9001-2015 certified company, a leading stockist dealing in Engineering Plastics and Non Ferrous Metal Industry. As a stockist and supplier, we provide an ever-expanding range of product and services demanding local and overseas market. In conjunction with our company expansion, we are looking for right candidates to fill up several vacancies in our company. We have been serving customers in a wide range of industries including Semi-conductor, Precision Machining, Hard Disk Drive, Marine, Switchboard, Automotive, Aerospace and Oil and Gas as well. We are constantly stepping up our service standards by optimizing material usage through accurate selection or recommendation of engineering plastic and aluminium. We may be young but we have proven that we can compete with the best and successfully carve out our own highly profitable niche in a very competitive business arena. In order to match customers’ development speeds and the shortening of the product lifecycle. IPC has established a high production workforce able to respond quickly to work jointly and creatively with you. You can expect consistency in the excellent of our products and value-added services that cater directly to your needs and meet all your requirements.